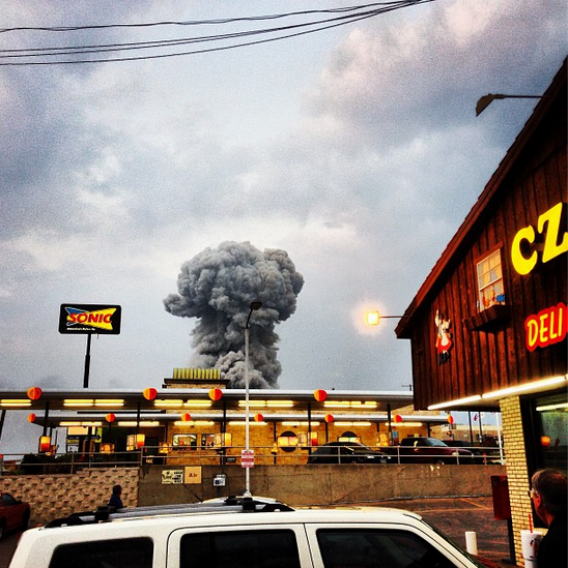 Is this Texas mushroom cloud photo real? Yes, but it's from 2008. This widely-circulated photo is actually from a refinery explosion in 2008. 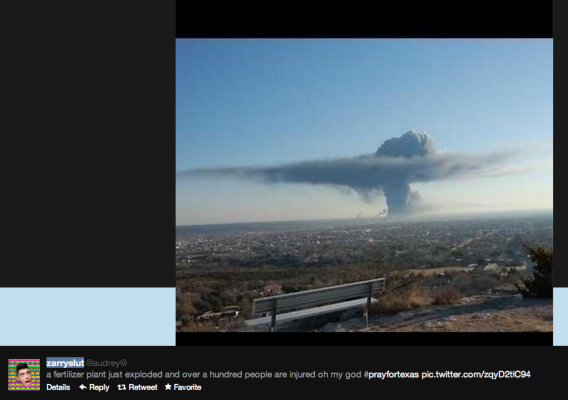 The image above, widely circulated on social media after Wednesday night’s explosion at a fertilizer plant in West, Texas, is actually from an oil refinery explosion that happened in 2008. The confusion is understandable: The oil refinery explosion was in West Texas—not the town of West, Texas. Again, the photo below appears to be genuine. This one appears to be genuine. The Slatest has more on the blast.